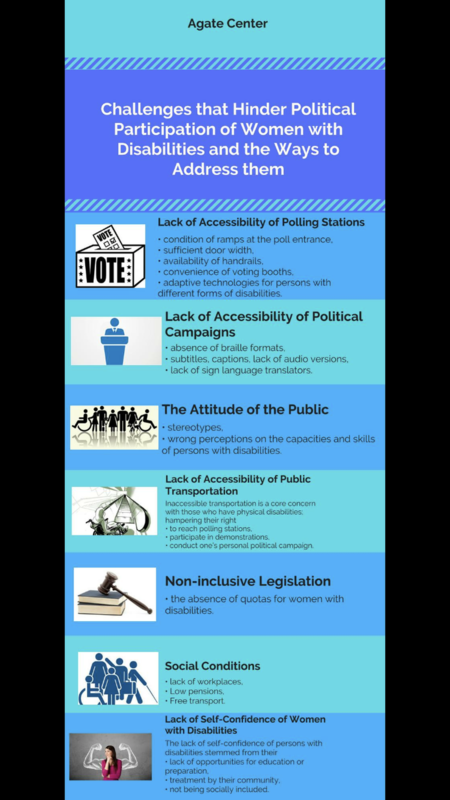 In 2018, Agate Rights Defense Center for Women with Disabilities, a disabled people's organization (DPO) led by women in Armenia, posted an image that includes information on barriers faced by women with disabilities in political participation. The image reflected research done by Agate with support from the International Foundation for Electoral Systems (IFES) and the United States Agency for International Development (USAID). The image was originally posted on Agate's Facebook page here.